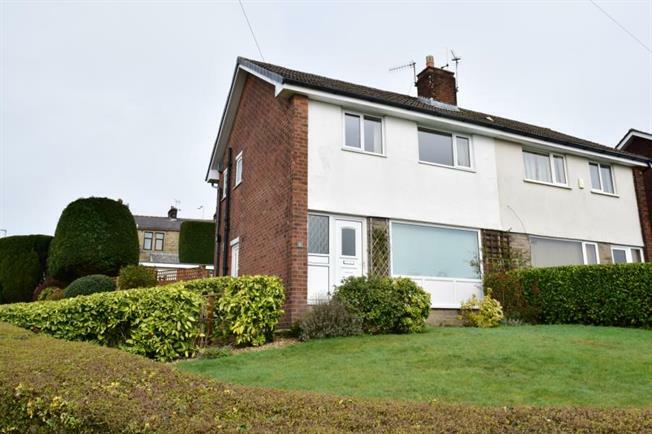 3 Bedroom Semi Detached House For Sale in Burnley for £145,000. Located in a popular area popular with families and also with potential to extend and improve we offer for sale this tidy and presentable 3 bedroom semi detached home. accommodation provides a lounge/diner, fitted kitchen, 3 bedrooms, shower room, upvc double glazing, gas central heating, gardens to front, side and rear and a garage with additional parking. No onward chain! Range of fitted wall and base units, worktops surfaces, tiled splash backs, built in oven/grill, electric hob, extractor hood, one and a half bowl sink unit, plumbing for washing machine, integrated fridge/freezer, GCH boiler. upvc double glazed window to rear. Upvc double glazed window to rear, radiator, storage wardrobe, built in airing cupbaord. Upvc double glazed window to front, fitted cabin bed, radiator, access to loft. Modern suite comprising of corner tiled shower cubicle with electric shower unit, high gloss vanity unit with basin, low flush wc, tiled walls, chrome towel radiator, upvc frosted double glazed window to side. Located to the rear with double driveway. Gardens to 3 sides with lawn to front and side, rear garden with paved patio, greenhouse, gated side access.